Day after day I see it collapsing and I feel that a piece of the puzzle of our country’s history is being lost.  It began its course in 1646 and has since left indelible traces on modern and contemporary history. At that time, having arrived there and driven out the Venetians, the Turks built a tower. In 1772, Reouf Pasha builds the Idzedin fort. It took its name from the Pasha’s first born son Abdul Aziz Idzedin. 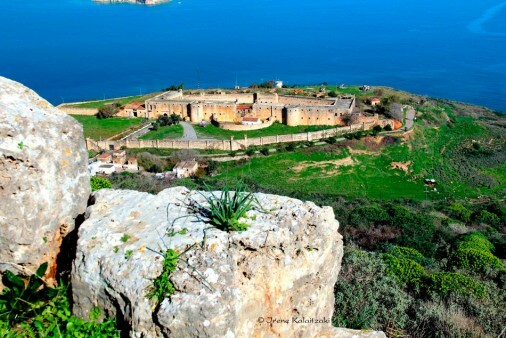 It was probably the most important work of fortification in the harbour of Souda and was equipped with guns on its Northern side. 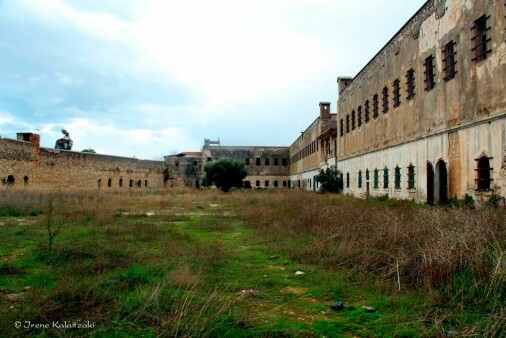 With the coming of the European Powers to the island during the declared State of Crete, the fort is essentially disarmed. This is the start of modifications on the original building, resulting in a considerable change in its appearance. A storey is added and the outer wall is constructed. 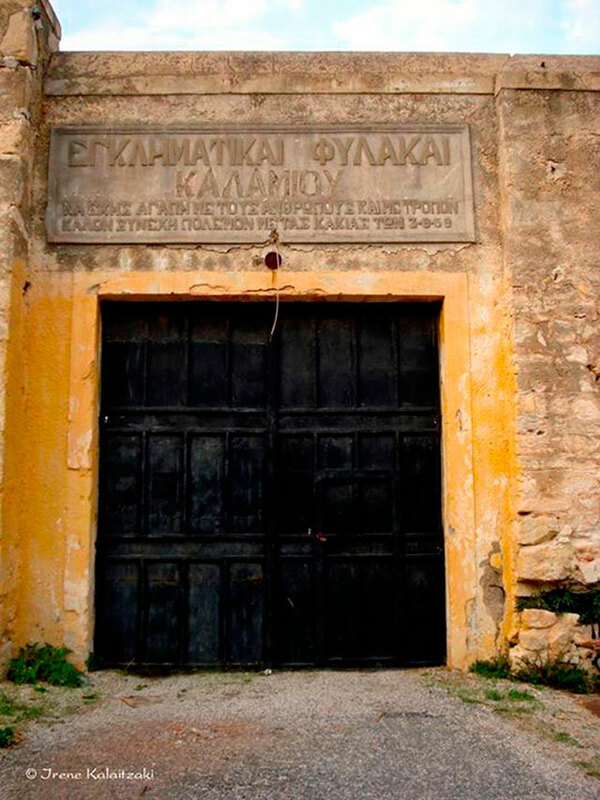 It is then converted into a prison for common criminals and becomes, perhaps, the toughest gaol in Greece. Apart from common law prisoners serving long sentences, it also “offers hospitality” to political prisoners during difficult times in Greece. 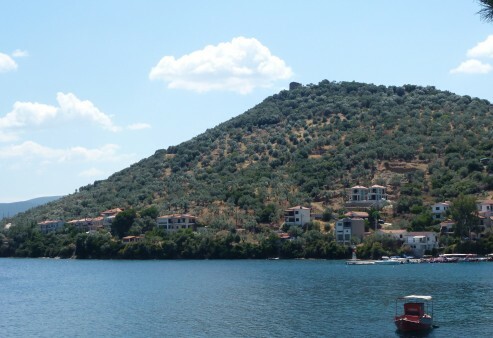 Eleftherios Venizelos was imprisoned here for a few days after his clash with Prince George. Executions of those condemned to death were carried out, before sun rise, in the northern part of today’s cemetery at Kalamio. 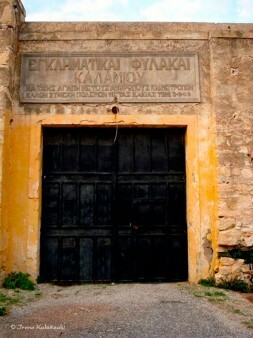 The final execution of an inmate took place in 1973 and since then, at the place of execution, there is a commemorative plaque of the tragic events. 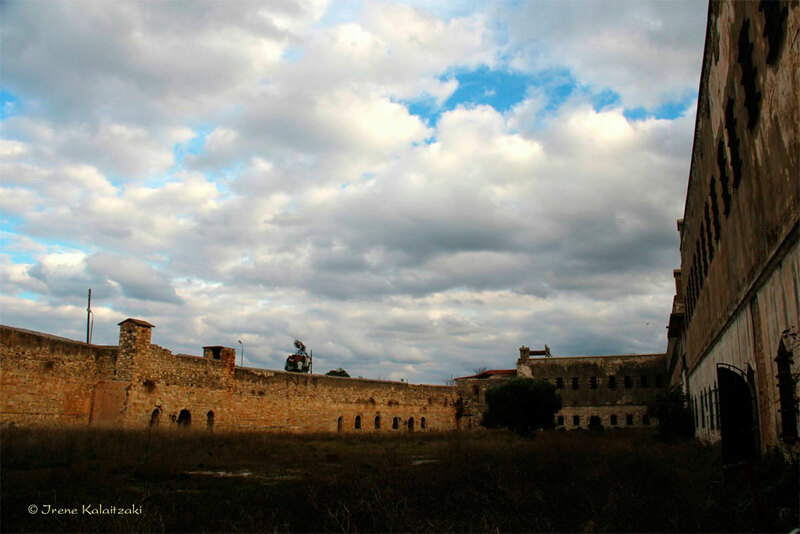 This immensely dramatic part played by the fort when in full use was the reason it was used for the shooting of the films “Days of ‘36” and “Stone Years” by Theo Angelopoulos and Pantelis Voulgaris, respectively. Over the last years it was used by the Navy as an artillery base and for the carrying out of military exercises. The prison area is extremely imposing. A tour round the closed inner courtyard and the narrow cells is enough to bring on feelings of awe and terror. Then, it was a place of torture. Today, it is a place of contemplation and memory. Heavy iron doors are everywhere, inviolable bars and white walls testify to the tortures inflicted on hundreds of human beings. From time to time, letters carved in pain on the stones of the fortress come as a relief to the hellhole’s monotony… These letters rise up like a scream capturing dates, people, events and confessions on history’s black pages, as well as oaths for revenge when and if its inmates reach the wall’s other side, alive. 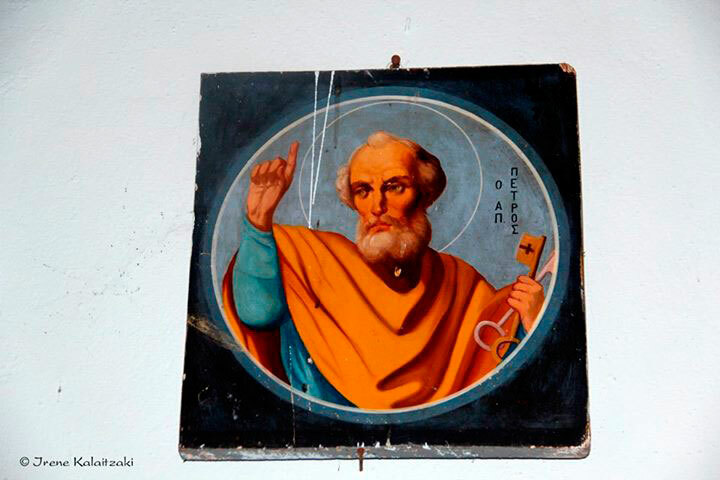 While doing time in this harsh prison, the convicts put their trust in God and built a small chapel, on the south side of the prison and outside the inner wall, dedicated to their liberator St Eleftherios (He who liberates). They painted the icons, carved the iconostasis, made the chandeliers as well as the lights and arranged the chapel’s interior. The ceiling had frescoes on it but, during the carrying out of conservation work, they were destroyed and then covered. On the iconostasis of the church, a great eye has been designed by the well known artist and painter Manolis Raftopoulos, a prison inmate at the time. Since the prison stopped functioning, its heavy iron gates open once a year to welcome worshippers on the Saint’s day of December 15th. Prison spaces that today have been abandoned, prison spaces that are crumbling daily and pieces of live history are lost forever along with the stones. It is worth noting that the first anniversary celebration of the Battle of Crete was held in the Prison. 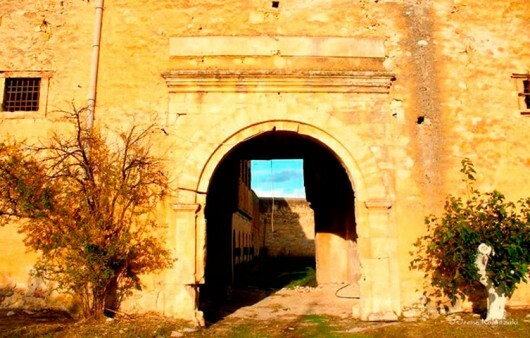 It has been declared a Heritage site by the Ministry of Culture of that period in accordance with the provisions of Law 1469/50. 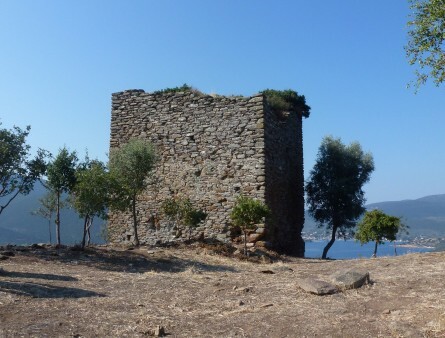 In the past, efforts were made by the former Municipality of Souda to have a European programme take on the monument, for it to be restored, shown to its full advantage and handed over to the local community to become a place of culture always in combination with the other antiquities of the bay of Souda (ancient Aptera, Soumbasi tower (Koules), the islet of Souda et al). Unfortunately till now, nothing whatsoever has been done regarding this issue, thus allowing the relentless passage of time to cause its ravages. We have a duty to preserve both our historic memory and the monument that, in its own way, bears witness to our intents and to the sufferings of mankind. We owe it to our country’s future. Monuments, events and sources, written and aural, are irrefutable evidence of a nation’s progress through time. For there to be a future, the past demands respect.